We are pretty much sure that you must be thinking how Google Translate could be termed awesome as it does nothing except for translating text. Well, to utter surprise of many, Google Translate does a lot other than being a free translation service that offers translations between 80+ different languages. Yeah, well translation is just tip of the iceberg. If you are using Google merely for translating words or sentences, then read on to know how you can leverage through Google Translate. It is utterly easy to upload and translate the documents. You will have to click on the “Translate a document” link that appears under the text box where you submit the text. This one is quite obvious and something that probably you all must be knowing. When you visit a particular website or type a website URL that you wish to translate into the translation box, you get the option to select the desired translation language and convert it into the same. Next, when you click over the links that appear in the results page, you will be directed to the website that is in desired language. Many times, we come across situations where we know how to pronounce it but need to know how it is written. This is when you can use speak it to translate. All that you need to do is to click over the microphone icon to turn on speech input and speak the word or phrase. Once you have logged in to your Google account, you get the option to save the results for specific translations to your personal phrasebook. The phrasebook could be accessed whenever you want to, though any of your devices. The phrases could be migrated to the Google sheets as well. There are times when you translate a word from a different language and feel that the results are not worth appreciation. In that case, the best that you can do is to suggest a better word instead. Finding it difficult how to pronounce the results you have got after translation? If yes, then you can use the feature that allows you to listen to the specific result. You can click over the speaker feature and listen how to pronounce the specific word or phrase. Not satisfied with the variety of results you have got? 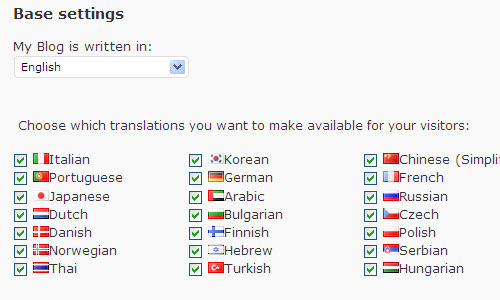 Well, not to worry as you can ask for results from several other languages when you use this translation service. When looking for optional translations for a particular word or phrase, you can click on the word and Google will immediately offer you several other options. You can also translate the text written over the photos shot by you.